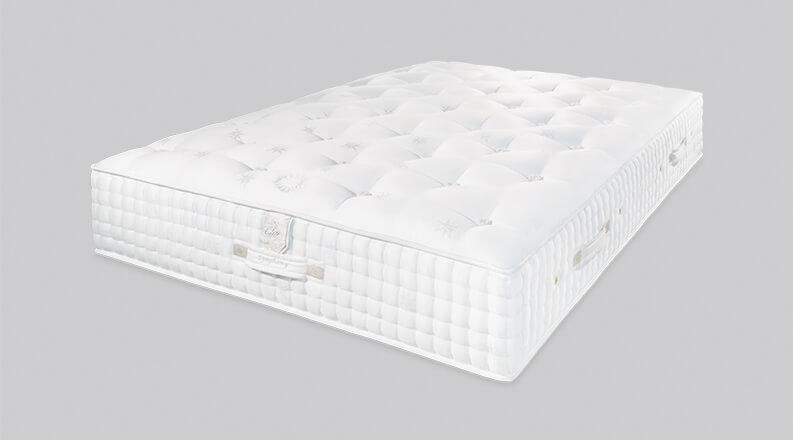 Rest on an Elite mattress and fully enjoy the daytime. 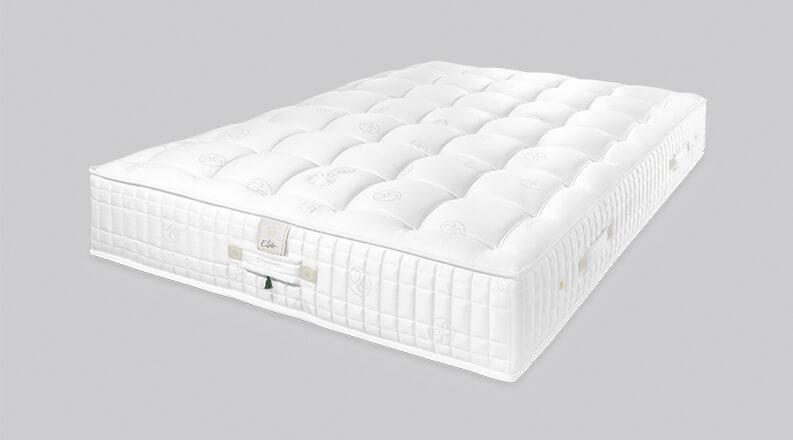 At Elite, we certainly have the right mattress for you, thanks to sleep specialists and a wide range of models aiming to cover all body types and budgets. 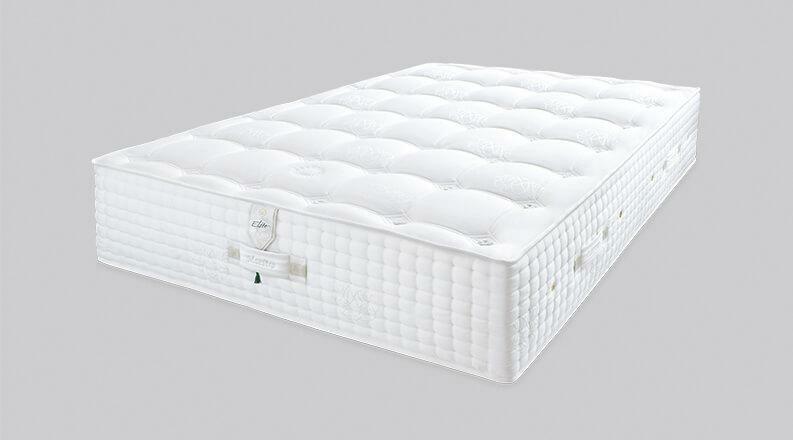 Risk-free, thanks to the Sleep'n Dream guarantee: 3 months to change firmness and a life of happiness. Our close work with several sleep clinics demonstrates that sleeping on an Elite mattress improves sleep quality. The Maestro, the master - this exceptionally comfortable mattress providing both softness and support is composed of a five-layer core of pocket springs and anatomical comfort zones. The feeling of floating through your dreams. All the know-how of Elite is combined in this mattress that redefines the standard of sleeping comfort. 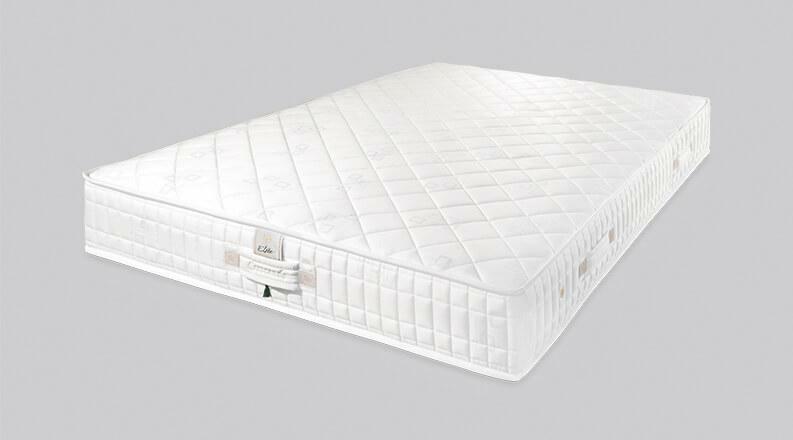 1,196 springs per m2 arranged in three layers form the core of this magnificent mattress. The core of this model is composed of 1,350 micro-springs per m 2. The impressive number of these micro-springs is the secret of great flexibility, starting by an adaptation to the most demanding morphologies. The state-of-the-art combi-springs technology is an ingenious combination of different micro-springs that make up the core of this unparalleled mattress, specially developed for large bodied people. 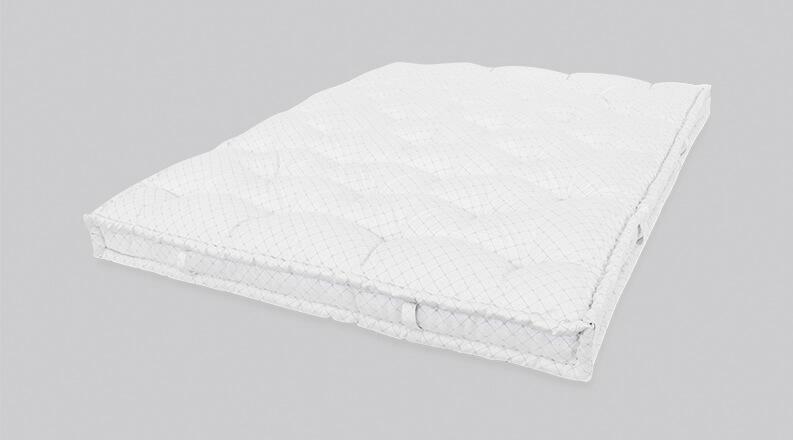 Each spring of the core of this mattress is individually wrapped in a hand sewn cotton cover. The qualities of this high-end assembly are further enhanced by the high density of springs providing point-by-point body support. To sleep well, 3 inseparable factors must be taken into account: comfort, back support and thermal regulation. The three of them together will contribute to your well being. If at 20 years of age you can sleep anywhere without the slightest pain, it's not the same after you’re 45. Despite conventional wisdom, a mattress that is too firm does not provide adequate comfort. To facilitate blood circulation and promote cellular regeneration, it is crucial to eliminate pressure on the body. It is therefore necessary to choose models allowing a supple reception of the body. Appropriate comfort eliminates polyarthritis, neck pain and tingling. If the first reception must be comfortable, the support must become dynamic in order to have an optimal position of the spine. 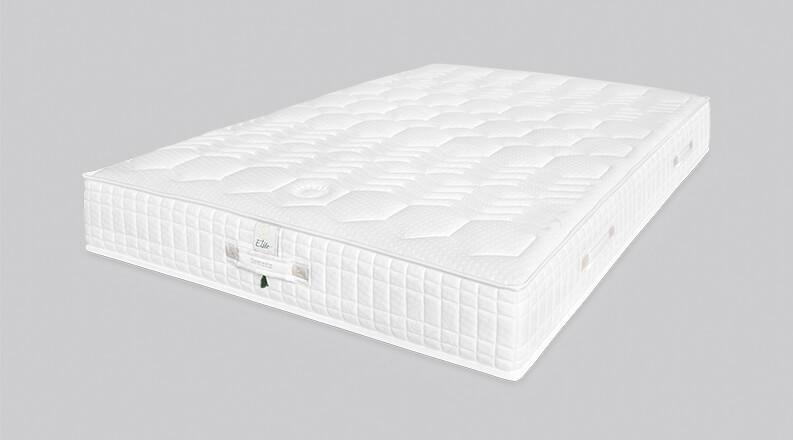 It is strongly recommended to choose a mattress with differentiated comfort zones, for example a softer shoulder area allows the shoulder to sink into the mattress thus releasing pressure on the joint while keeping the spine elongated. Proper support eliminates lumbar and dorsal back pain. Every night, our body temperature decreases and we perspire about 5 dl of water. 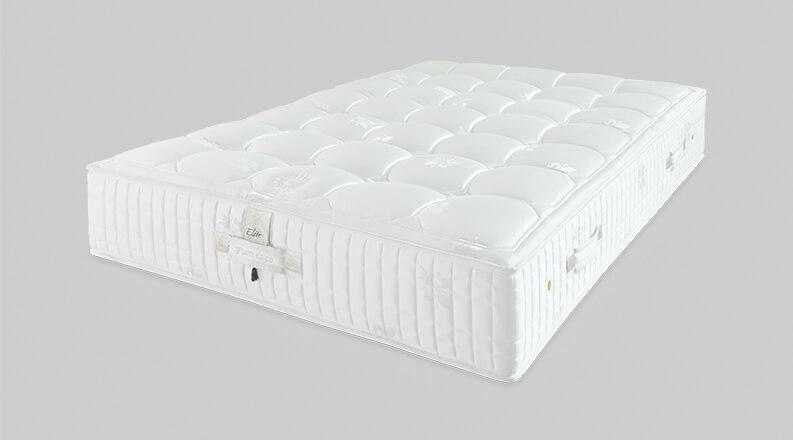 If the mattress does not drain excess heat and moisture, our sleep will be disrupted. Only natural upholstery such as horsehair, wool, cashmere, silk, cotton or vegetable fibers can create a healthy and dry environment. Proper regulation eliminates heavy perspiration and nighttime restlessness. 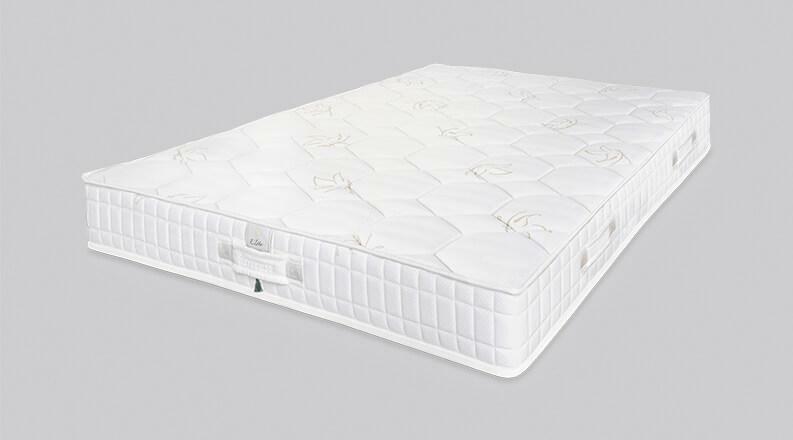 The core of this mattress is composed of pocket springs of various heights combined with anatomical zones. This specific assembly is combined with a layer of memory foam. With a charming combination of softness and strength, this model is defined by its progressive anatomical adjustment and a good sleeping independence. This high-tech yet natural mattress consists of an Alpin'herbs foam core made with lavender and Swiss herbs to ensure a feeling of well-being and appeasement. Its honeycomb visco-elastic foam core memorises your morphology making this model a pleasing combination of science and technology. Studies show that a good quality bed favors sleep continuity. One falls asleep faster and experiences fewer nocturnal awakenings. People suffering from lower back pain see a notable improvement of their symptoms. It is therefore worthwhile to choose carefully. When arriving at the store or the showroom, it is advisable to get comfortable, lie on the bed, close your eyes and test the support qualities in all sleeping positions. Comparing different mattress firmnesses is essential. If you are looking for a solution for two people, it is better to try together. When you are young, the skeleton is formed during the night; a suitable bed will support the spine and allow for smooth growth of the bone structure. Then, the older you get, the more your body becomes sensitive and requires a bed adapted to your body shape and your comfort preferences. 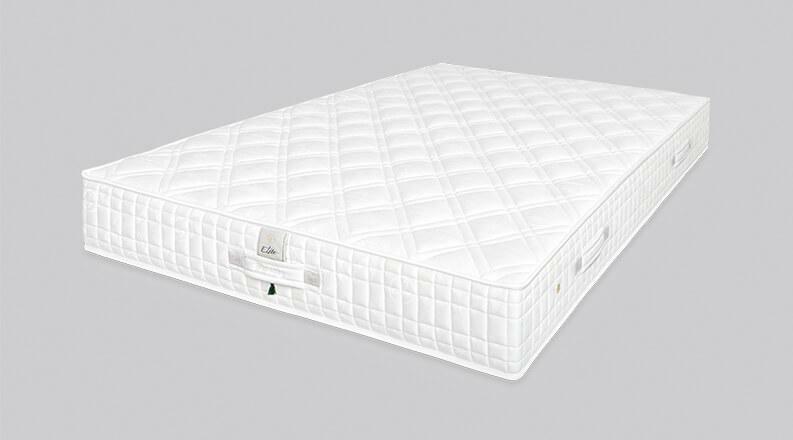 Whatever the age, child, adult or senior, one shouldn’t neglect the choice of mattress. Sleeping well also requires not to be disturbed by the movements of your partner. While obviously Elite mattresses offer a great sleep space independence, it is sometimes difficult not to be awakened by partners tossing and turning in their sleep. Depending on the width of the bed, it might be better to opt for two mattresses. 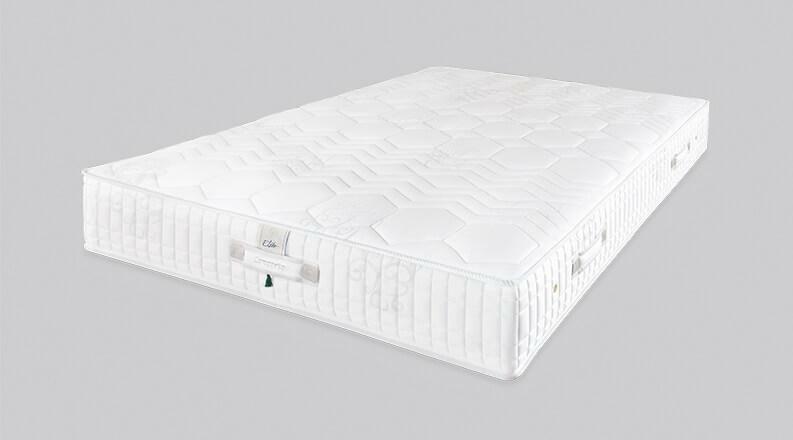 At Elite, you are guaranteed to find the mattress that suits you, thanks to advisers specialized in quality sleep and a wide range of models for all body types and budgets. Risk free, thanks to the Sleep'n Dream guarantee: 3 months to change your mattress firmness. We spend about 1/3 of our life in bed, that’s about 23 years on average. Investing in a quality bed is essential for your health. An Elite mattress costs less than CHF 0.50 per night. A 100% natural latex core, with a built-in Ross-link vertical drainage structure that allows 4D ventilation of the mattress and serves the seven comfort zones effectively. This old-fashioned mattress, trimmed with pure tail hair and virgin sheep's wool, has a soft and welcoming touch. Horsehair has the virtue of preventing rheumatic diseases and ensures a healthy atmosphere for good sleep. 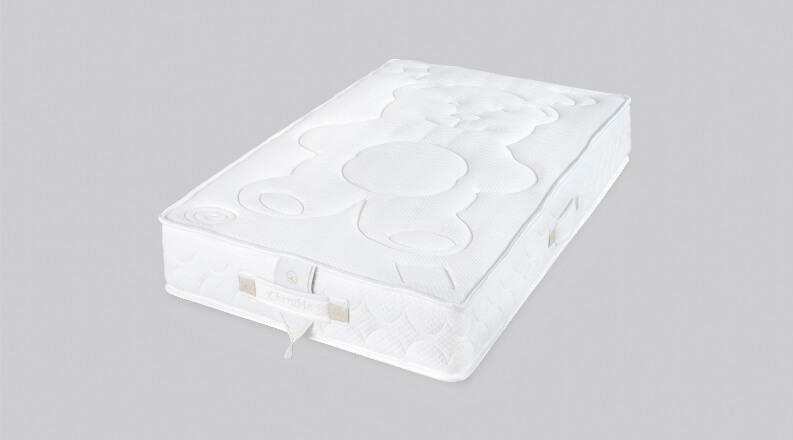 The high-quality Evopore foam is the basis of this mattress designed for the five comfort zones to prevent possible back problems while ensuring proper support of the cervical, lumbar and dorsal areas. Suitable for toddlers, this model, with its high-quality CFC-free foam core, is both soft on the surface and firm in the middle.